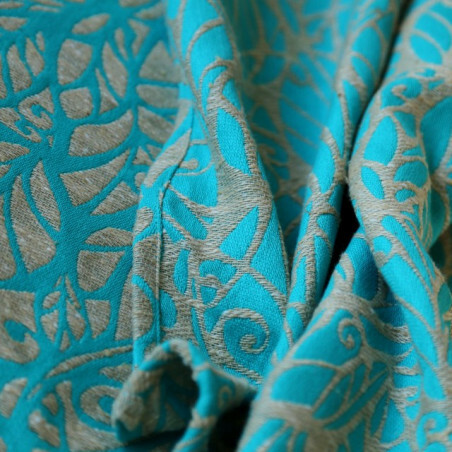 A harmonious combination of clear turquoise, pure white and sand. 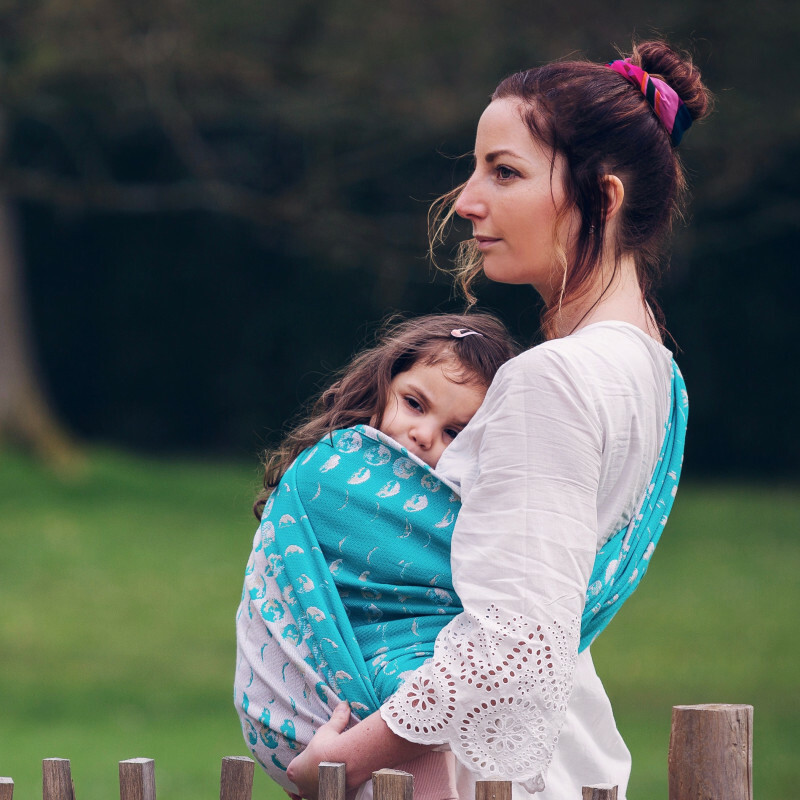 Woven in our signature cloudberry weave, this wrap feels as a cloud on your body and will break in easily. 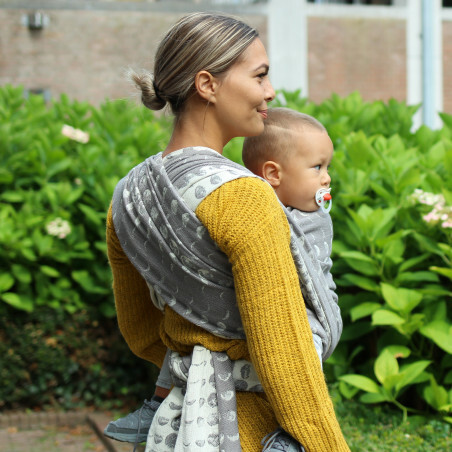 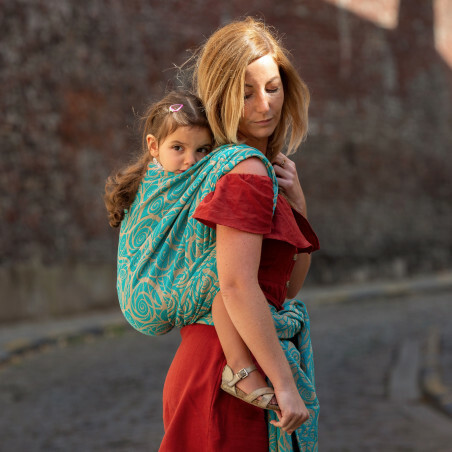 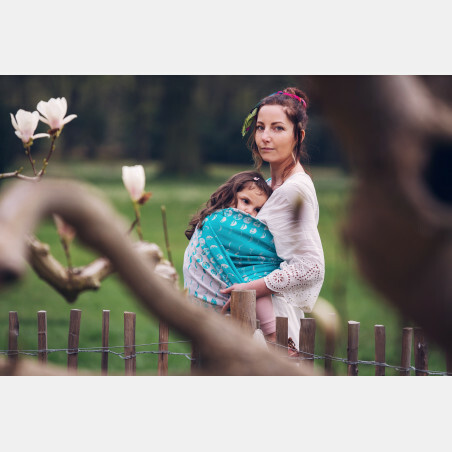 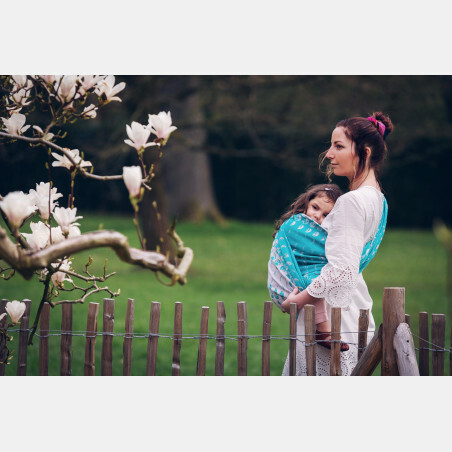 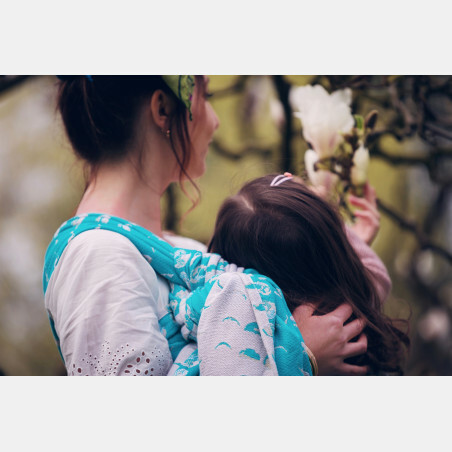 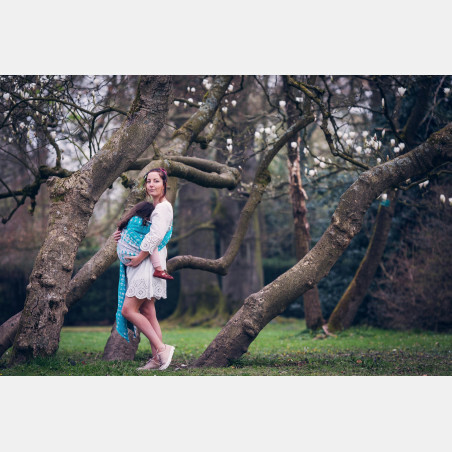 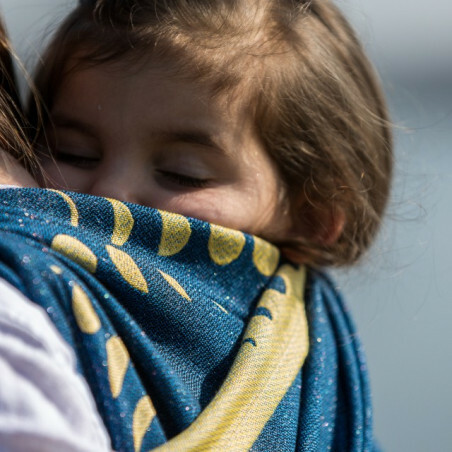 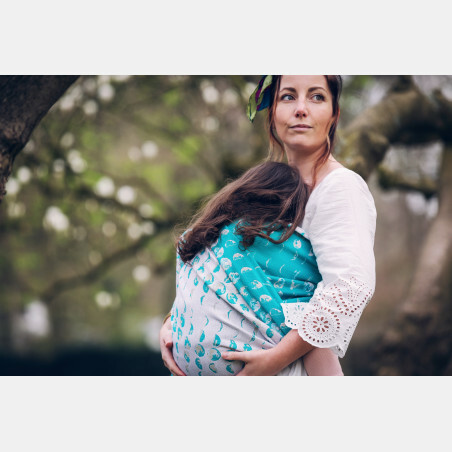 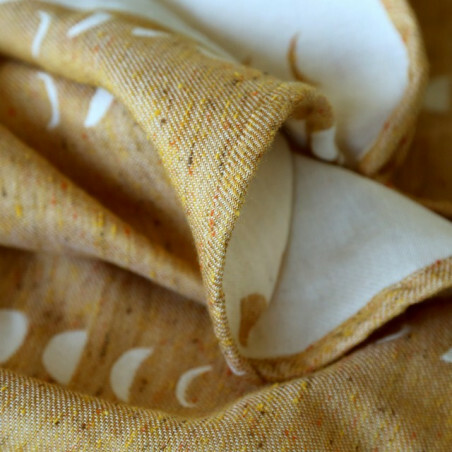 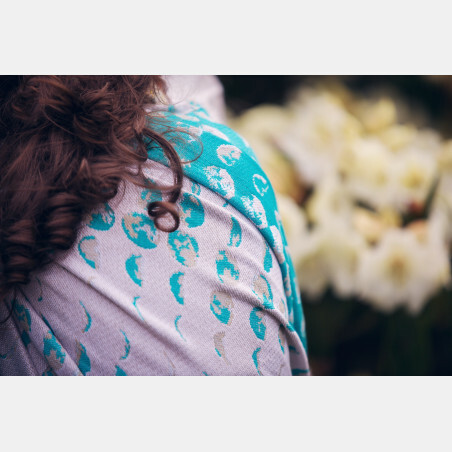 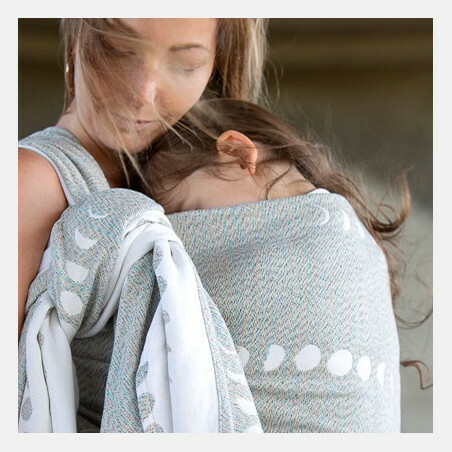 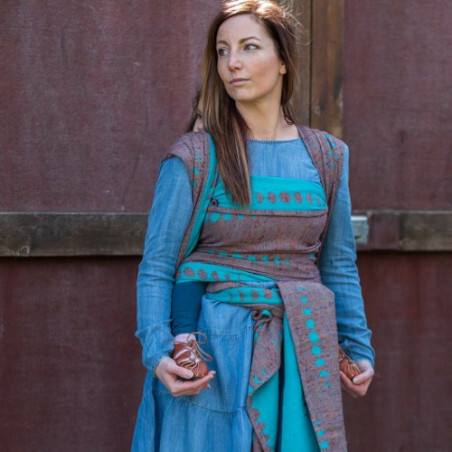 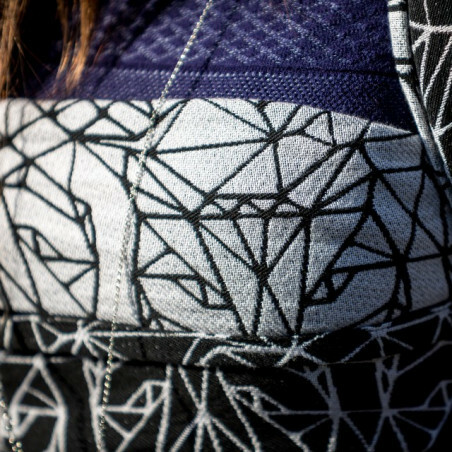 The wrap is perfectly suitable for summer babywearing in warm climates. 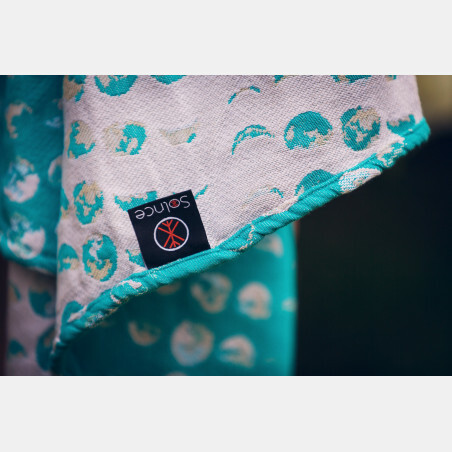 It is soft and gentle on the skin, airy and moisture absorbent. 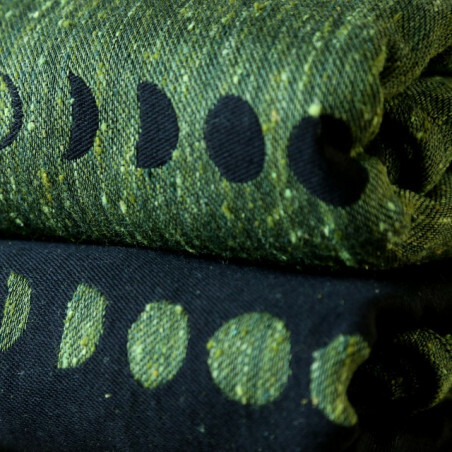 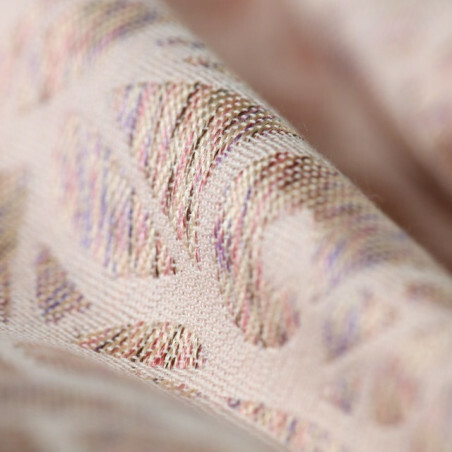 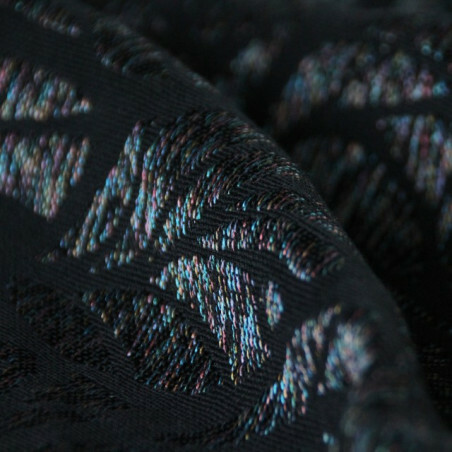 Seaweed yarn is soft and silky to the touch with subtle shine. 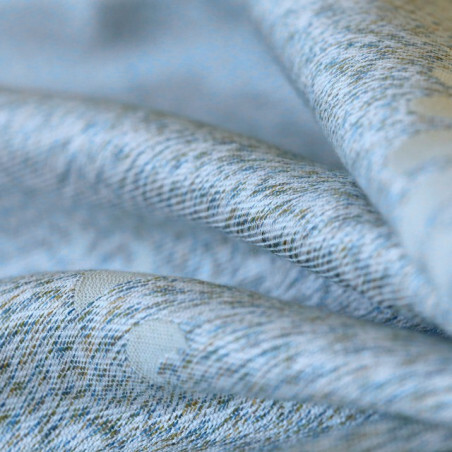 It has earned the reputation as a high-tech wellness fiber. 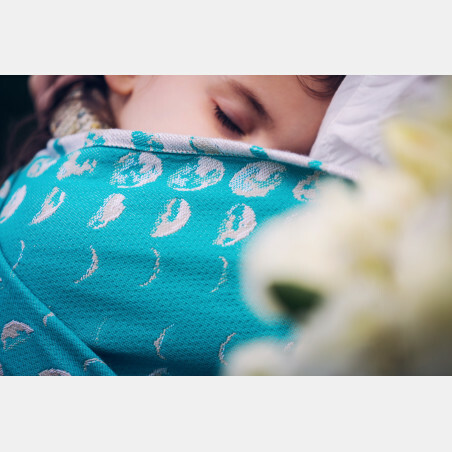 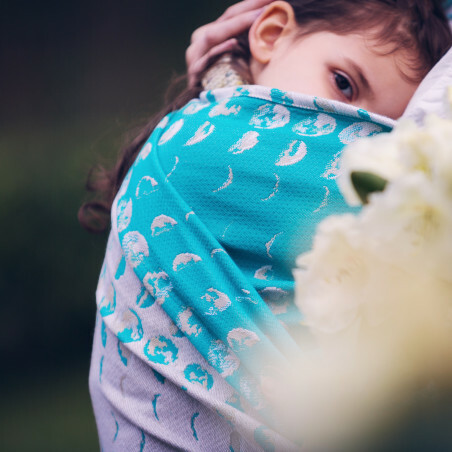 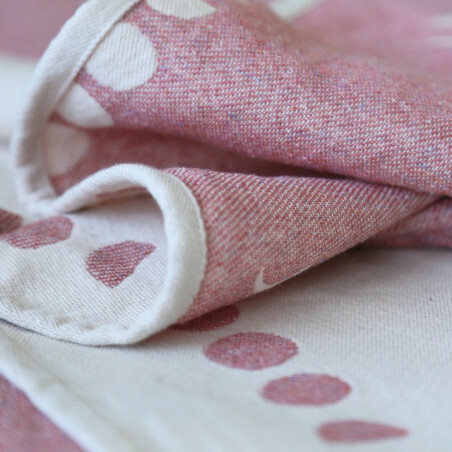 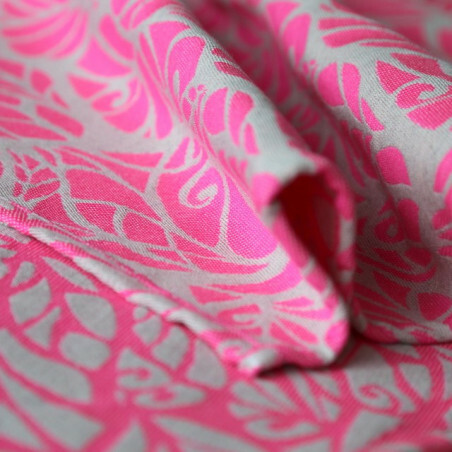 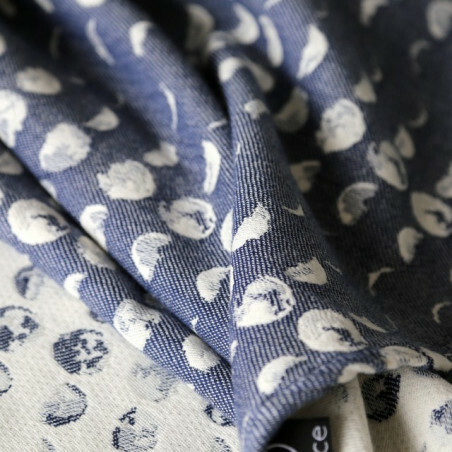 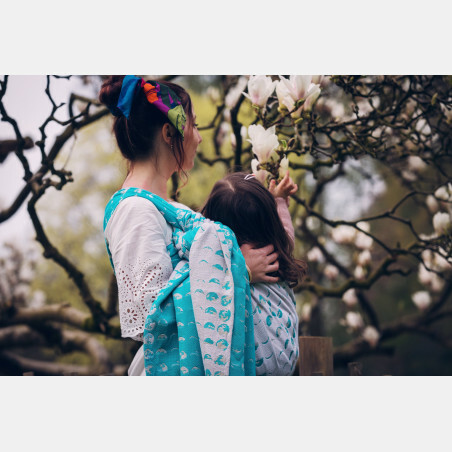 Supima cotton is one of the finest quality cottons on the market.This wrap is suitable form baby to toddler. 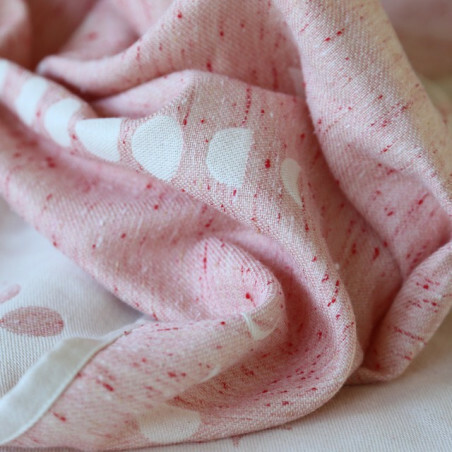 It is machine washable on gentle program.